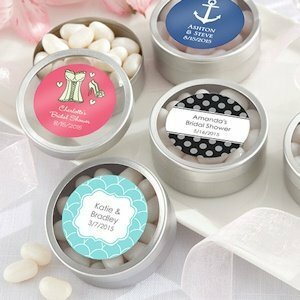 Our sweet round candy tin design leaves room for your creativity to come into play. 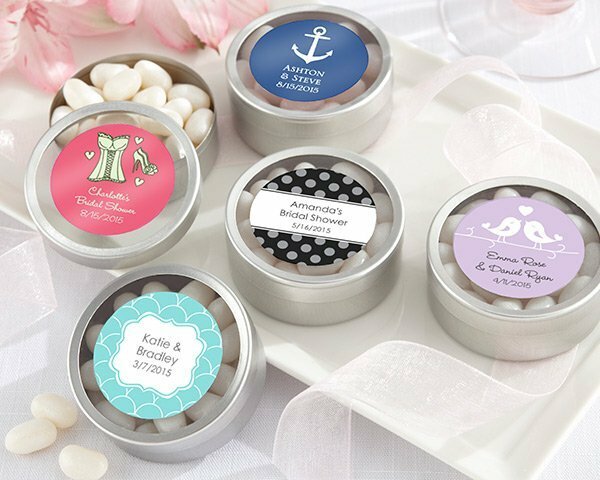 The simple silver-finish tin measures 3/4" high by 2" across, and has a clear lid. 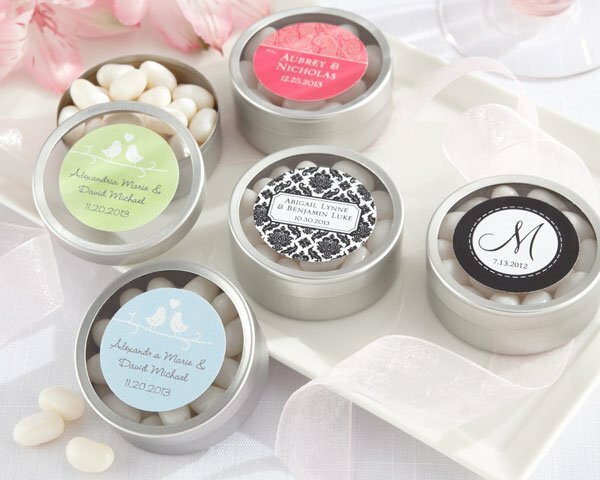 The tins are sold in sets of 12, and are accompanied by optional personalized stickers in your choice of style and color (small additional fee). Minimal assembly is required to adhere the stickers to each lid. Sold in sets of 12.